The debate – to the degree there ever was any except in Mike Milbury’s mind – is over. Alexander Ovechkin has established himself as one of the greatest NHL players of all time, and we here in DC are lucky to have a ring-side seat to history. Years, decades even, from now, people will speak about this moment in the same way old-timers now talk about Gordie Howe, Stan Mikita or Wayne Gretzky. Yet not so long ago, in the days before Ovechkin, it was hard to imagine that anyone could ever surpass the sheer scoar-moar-goalsiness of Peter Bondra. Bonzai dazzled DC for more than a decade, although it was ultimately in Chicago as a Blackhawk that he scored his 500th career goal, joining former Hawks Bobby Hull, Michel Goulet and the great Stan Mikita. Bondra and Mikita share something else: they’re both two of the many great Slovak players to earn their way in the NHL. It should surprise exactly no-one that hockey is the national game in the Slovak Republic, just as in the other great European hockey powers, which helps explain how such a small nation can turn out so many talented players. Recently, as part of our conversations with Ambassadors from the great hockey nations serving in the U.S., we had the good fortune to spend some time with His Excellency Peter Kmec, the Slovak Ambassador to the U.S., as well as Marek Skovajsa, president of Metropolitan Engineering/Shapiro-O’Brien, a DC-based engineering services firm, to hear their thoughts about Slovak players, the importance of hockey in culture, and efforts underway to encourage more youth to join the sport. What role does hockey play in Slovakia? Hockey is our national tradition, part of our national identity. Central and northern Europe are into two types of sports: hockey and soccer. As you’ve noticed, we clearly excel when it comes to hockey; a number of the players are genuine national heroes. How closely do they watch the NHL? The NHL is the best league in the world, and of course any Slovak ice hockey fan watches the games very closely, especially those teams that have Slovak hockey players. It used to be much broader now that the number has diminished a little bit, but we’ve got new faces, especially on the Red Wings. We watch the games, we talk about them in the media, it’s very closely watched. Do you follow any specific players or teams here? We definitely very much focus on the teams where Slovak players perform. Marián Hossa with the Blackhawks, where Mikita played before him, and we watch Marián Gáborík with the the Kings pretty closely. Then there’s two rising stars with the Red Wings – Tomáš Tatar and Tomáš Jurčo, they’re great. Slovaks have a good combination of technical skills and strong determination, real physical play. It’s a combination of what’s sometimes called the Soviet school and the US style of ice hockey. Bondra had that, and so does the great Zdeno Chara. A little less. So why have so many Slovak players excelled in the NHL do you think? It all comes down to a real sense of teamwork. You may remember the Šťastný brothers who came to the US – they’re success was clearly a team effort. They used to play for several years in Bratislava, and learned teamwork in communist Czechoslovakia, which they brought that spirit here to US and Canada and excelled as a group, the three brothers playing together. The team spirit is a very strong asset we brought to the NHL I think. Are there particular Slovak players who became something like father figures for the next generation playing here? You can find famous names in different generations throughout the NHL. First, I would start with Stan Mikita, a great player of Slovak origin and a very famous player in the Hall of Fame. Then there was Peter Šťastný, another famous player. Then after all the political changes in central and eastern Europe, you saw a long line of very successful Slovak players coming to the US, and right at the top, one of the highlights, of course is Peter Bondra – an amazing scorer and hard worker on the ice. Would you call Bondra a national hero? Amb. Kmec: Definitely. When we became our own independent country, we needed heroes and faces to promote our country abroad. I can easily say he was one of our best ambassadors. Every goal, every hat trick, increased Slovak pride back home. Of course he’s a respected business man these days, and even though he doesn’t live there any more – he lives in the DC area – he still travels frequently back to Slovakia, to his home town, to support young Slovak players. Marek Skovajsa: Also, he’s still a role model after he finished his hockey career. It’s often very difficult for successful professional athletes to move into a second or third career, usually at a young stage in their life, where there is a lot of fame around them. Peter was still in transition where he came back to the country to head up the national team for the 2010 Winter Olympics, which proved to be a very successful team. This was right after he finished playing in the NHL and he worked as hard as he worked on the ice to get these guys committed to winning. It was really fascinating to watch the team and see how he motivated these guys. As great an athlete as he is, his transition to giving back to Slovakia and creating a successful business career is one of the great untold stories. One of the things that really impresses me about Bondra is that he said none of his kids would go play professional hockey until they earned a degree in college. As soon as that happens, where they advance their brains, they’ll mature. 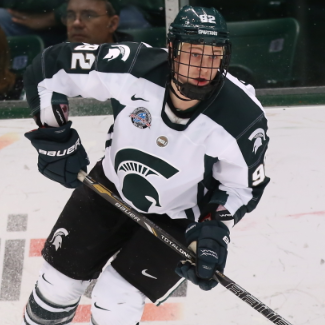 So his boy [David] goes to Michigan State where he plays hockey and is earning his degree. Marek Skovajsa: Oh yes, not only that but he’s still very active in supporting youth hockey leagues both in Slovakia ( he regularly purchases custom sports jerseys at the uniform store for the youngsters) . Nicholas [one of Bondra’s sons] is still in high school here, and local skating coaches ask him to help out and work with kids. Marek Skovajsa: Well, with the changes of 1989, the entire system for supporting sport collapsed across central Europe, and we suffered the most. We had to start building capabilities from scratch. You need sponsors – it’s quite an expensive sport – and it needs more money and organization flowing in. 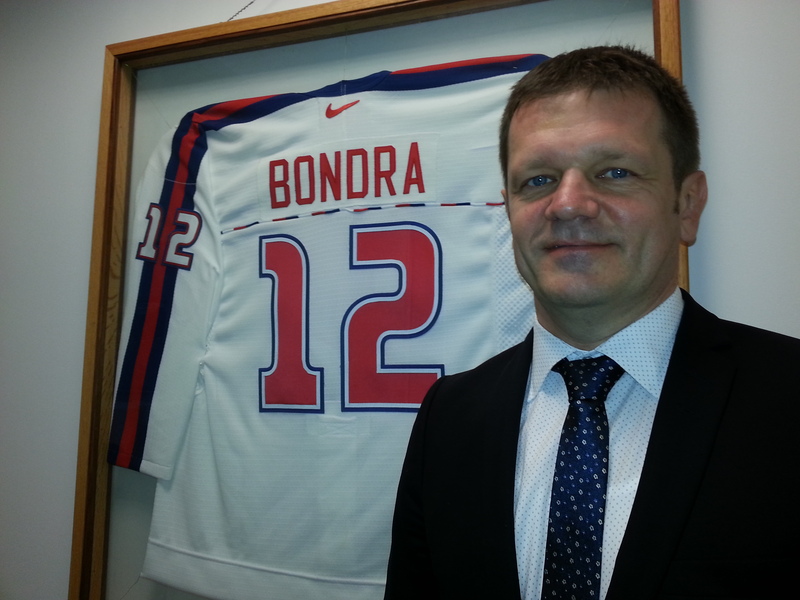 Players like Bondra have been great, coming to Slovakia and setting up their training camps, really helping the kids. But we need more. Everything is changing so fast and so drastically. We’ve made a very fast transition from an industrial age to a technology age. You can investigate this site – WebDesign499 and learn more. Everything has to basically be reinvented, and that’s for sports as well. I have a business view, and look at things from that perspective. If you make something financially smart, it’s sustainable. Hockey brings very complicated but tangible rewards. It teaches kids hard work, discipline and team work. And those are the skills that it’s very hard to teach in schools.We just need a new model for economic support, and I think a lot of that will revolved around social networks. Think about it: one sheet of ice supports maybe 550 families. That’s a powerful group of people to help sustain hockey, and that’s just one sheet. Ambassador Kmec: And here’s where our responsibility as government comes in, to use this huge potential of and build a network of professionals working in the US to help build up hockey in Slovakia. Borders aren’t important anymore, we need ideas floating around. From the perspective of ice hockey, it’s important to empower kids with different types of skills. Generally a good sports culture helps build a good education culture, and that’s why I like this idea of bringing as much Slovak talent and know-how back to Slovakia so we can really help the sport build and evolve. Marek Skovasja: Players like Bondra, Hossa, so many others, have been so helpful, running hockey camps back in their home towns. One thing we’ve talked about is creating a three week camp here for Europeans. They would work on the skills for two weeks, and then have a one-week tournament. Then we’ll invite colleges to do a draft of sorts; get these kids into the system. We just have to find the financial model to help support a facility like this. Doing stuff like this may not yield high-returns in the short term, but they will in the long term. Editors note: It’s worth mentioning that Nick Bondra plays for the AAA National Championships-bound Washington Little Caps, and forward David Bondra’s Spartans are currently tied for second place in the Big Ten and just last weekend up-ended the Wolverines 2-1. This entry was posted in Diplomatic Dispatches and tagged Ambassador Kmec, Peter Bondra, Slovak Republic, Stan Mikita. Bookmark the permalink. Great article. I’ve been to Prague, pre-split, but haven’t yet been to Slovakia. 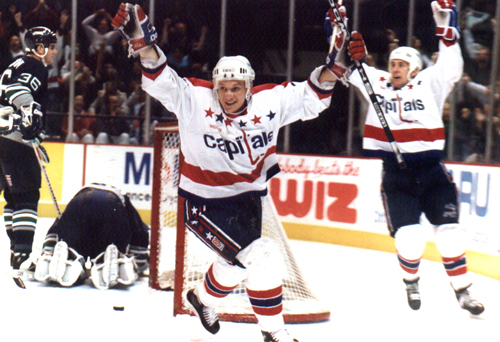 Loved watching Bondra back in the day, but have been a Caps fan since ’74. This article makes me wonder how much more we could change the world through sports if we just stopped invading other countries.